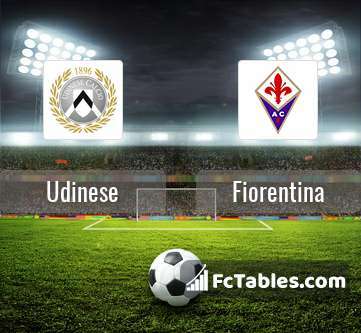 The match Udinese-Fiorentina Serie A will start today 14:00. Referee in the match will be Daniele Orsato. Team Udinese currently is on lower place in table (16 position). Form team looks like this: In the last 5 matches (league + cup) gain 5 points. Udinese did not win the match from 2 games. The most goals in Serie A for Udinese scored: Rodrigo De Paul 6 goals, Ignacio Pussetto 3 goals, Kevin Lasagna 3 goals. Most goals developed: Rodrigo De Paul 3 assists, Ignacio Pussetto 3 assists. In Udinese not occur in the match due to injury: Samir, Emmanuel Agyemang-Badu, Antonin Barak. Team Fiorentina is located in the middle of the table. (10 place). Form team looks like this: In the last 5 matches (league + cup) gain 8 points. away from 7 matches team have not been defeated. The most goals in Serie A for Fiorentina scored: Marco Benassi 7 goals, Federico Chiesa 5 goals, Giovanni Simeone 4 goals. Players with the most assists: , Federico Chiesa 3 assists, Giovanni Simeone 3 assists. In Fiorentina not occur in the match due to injury: Vitor Hugo. Marco Benassi. They will not be able to play in the game due to suspension. 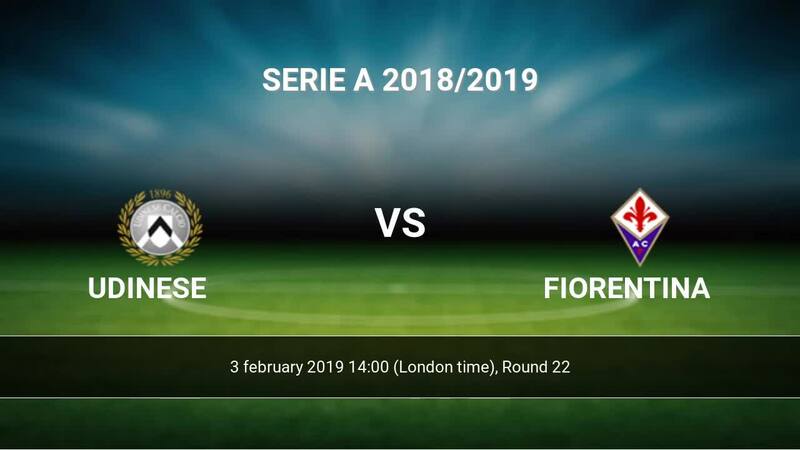 Direct matches: Fiorentina won more direct matches. 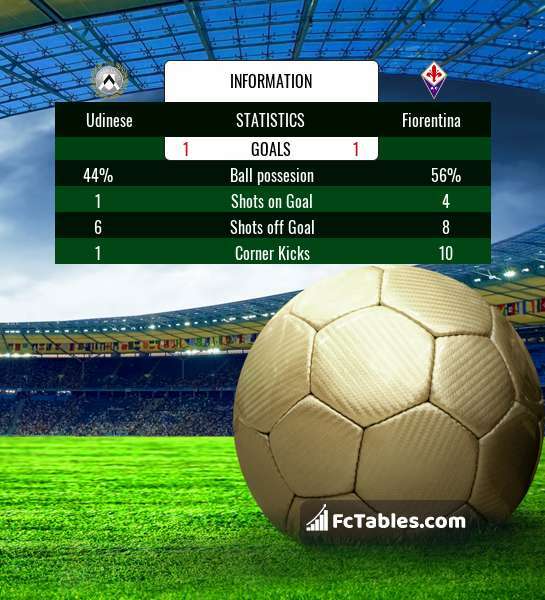 Udinese won 10 matches , Fiorentina won 20 direct matches, was a 8 draws. In 25 matches the sum of the goals both teams was greater than 2.5 (Over 2.5), and 31 matches teams scored more than 1.5 goals (Over 1.5). In 24 matches the both teams scored a least one goal (Both teams to score).